So last week, we had confirmation that the Anniversary Update for Windows 10 will land on August 2, but some Windows Insiders (testers) have wondered what might happen to the whole programme and deployment of preview builds after the big upgrade has been pushed out. Well, it seems that Microsoft simply wants to continue with the system, kicking out preview builds in the exact same manner after the Anniversary Update goes live. Dona Sarkar, Software Engineer, Windows and Devices Group – who recently took over from Gabe Aul as Windows Insider chief – tweeted in reply to a question from one tester: "We will definitely keep pushing builds post-anniversary update. This system seems to work pretty well." Currently, the final bug squashing for the Anniversary Update is taking place, to make sure everything is fully shipshape when the upgrade is unleashed in just under a month's time. Development of any big new features was frozen a little while ago, with these being put back to the second major 'Redstone' update which should emerge early in 2017. 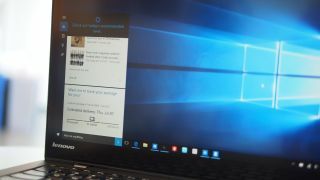 So what new tricks will Windows 10 gain come August 2? Anniversary improvements will include bolstered security (from Windows Hello and Windows Defender), Windows Ink enhancements, tighter integration between PCs and the Xbox One console, and a raft of embellishments to the Edge browser and Cortana. Check out this article for the full skinny on what's coming.